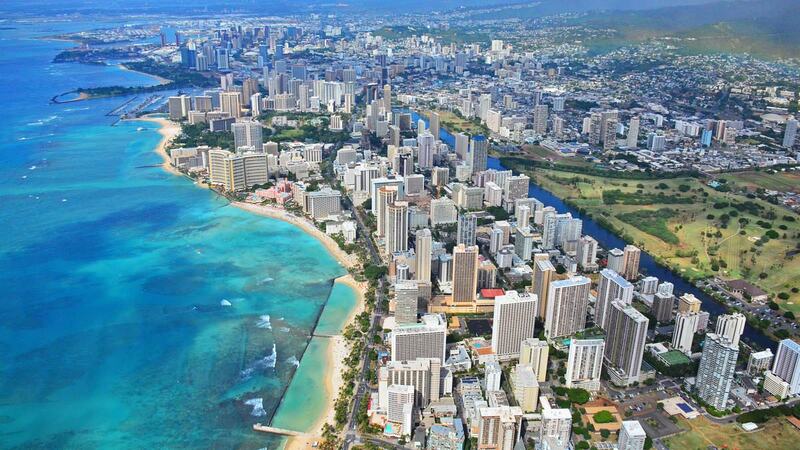 With the swaying palm trees, the turquoise waters and the soft golden beaches, Hawaii is like no other place on earth. Hawaii Island is home to one of the world's most active volcanoes, the world's tallest sea mountain and known as birthplace of modern surfing. 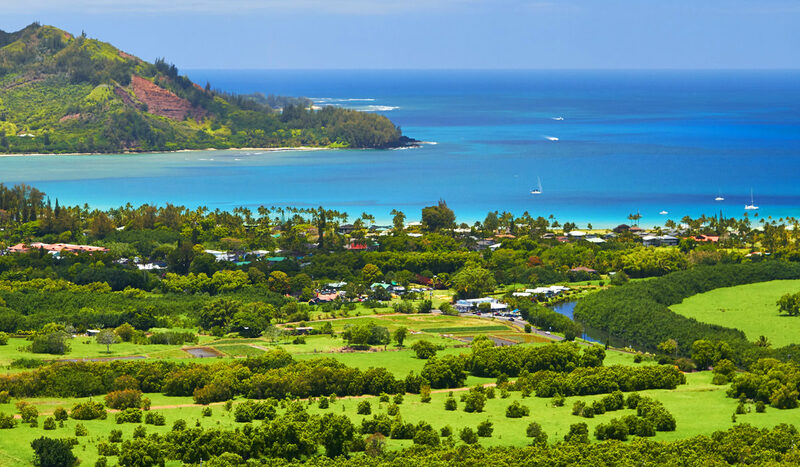 There are six major islands to visit in Hawaii: Kauai, Oahu, Molokai, Lanai, Maui, and Hawaii Island. 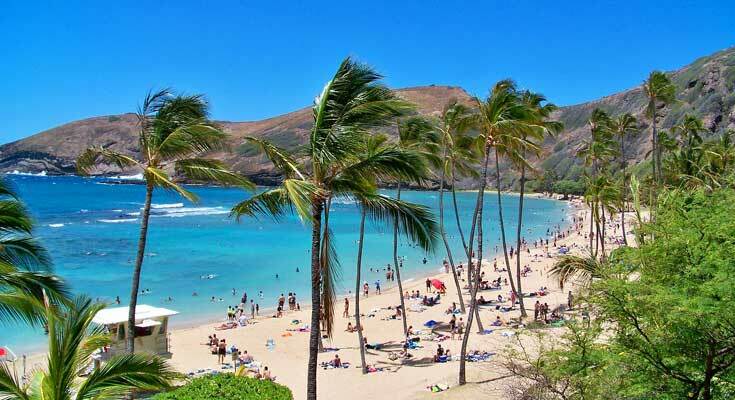 Hawaii with its tropical climate with natural splendour, beautiful beaches with world class luxurious hotels makes it one of the most famous tourist destination. Hawaii is place that offers something for every tourist and one of the great destinations for honeymoon for love couples. With so much to see, it’s best to experience the island in small pieces. The temperature is mild, and cane sugar, pineapple, and flowers and nursery products are the chief products. Hawaii also grows coffee beans, bananas, and macadamia nuts. There’s plenty of room on Hawaii Island for your return. A perfect natural wonder, Hawaii offers couples flocking from all around the world a stunning overwhelming vacation destination. Hawaii offers an array of activities and places to hang out for, some of them are really amazing that will stun you with its location and height of its beauty. Couples can go for long beaches, or hike for waterfalls in Hilo and Hamakua Heritage Corridor, Hawaii Volcanoes National Park in Big Island can also be a great and a unique place where you can explore the active volcanoes, art gallery, Thurston Lava Tube and don’t miss Oheo Gulch Pools where you will come across most amazing scenic views.If you are up for surfing whether it is a surf lesson for the two of you or an early morning activity as the sunrises – the Hawaiian waves are unrivaled anywhere else in the world. There is an abundance of snorkeling, hiking, self-drives, spas, restaurants and markets. Embrace the loudness of the Hawaiian shirts, the vibrancy of islands and the welcoming nature of the people who have made this beautiful location their home. It is no wonder that Hawaii offers romance as its best! We can conclude that a honeymoon in Hawaii will set you up for a happy ever after. Why Visit Hawaii Island as Romantic Getaway? The most-visited attraction and must-see Volcanoes National Park offers unique hiking and camping opportunities, encompasses the summit of the world’s most active volcano. Haleakala National Park offers spectacular views and scenery, while the valley of Kipahulu is lush and lined with beautiful freshwater pools and waterfalls. Snorkeling and Swimming opportunities at Hanauma Bay Nature Preserve, Hawaii’s wildlife in Kilauea Point National Wildlife Refuge. The Panaewa Rainforest Zoo shouldn’t be missed as you will encounter a variety of rainforest animals and endangered Hawaiian animals, such as a white Bengal tiger, spider monkeys, lemurs, nene geese (the Hawaiian State bird), and over 80 other animal species. Waimea Canyon, Diamond Head State Monument, USS Arizona Memorial and a lot more to see. Decide what you want to see and do while you're in Hawaii and then find the best time of year to meet your requirements.